Former Defense Minister Moshe Ya'alon (Likud) said at a "Shabbat Tarbut" event (cultural events aimed at the non-observant) in Tel Aviv on Saturday that he intends to form a new party and to run for Prime Minister's office in the next Israeli elections. "When I realized I had to quit my job as Defense Minister, I decided that I care about the country, about everybody's children and grandchildren," Ya'alon said. "So I decided to form a political party. I'm gaining political power, and I'm going to run for Prime Minister." "I've learned to drink wine for my homeland, and to wear a suit for my homeland. Cigars? I've never had to smoke cigars for the sake of my homeland," in a thinly veiled allusion to Prime Minister Netanyahu who is being investigated for accepting gifts, including expensive cigars. Ya'alon also said Education Minister Naftali Bennett (Jewish Home) contacted the IDF without permission, and received unauthorized reports about Operation Protective Edge' progress in real time. Bennett was praised in the Comptroller's Report on the 2014 IDF Operation issued last week for publicizing the existence of the Hamas tunnels after he visited the front, while Ya'alon was criticized for not informing the security cabinet about the danger. 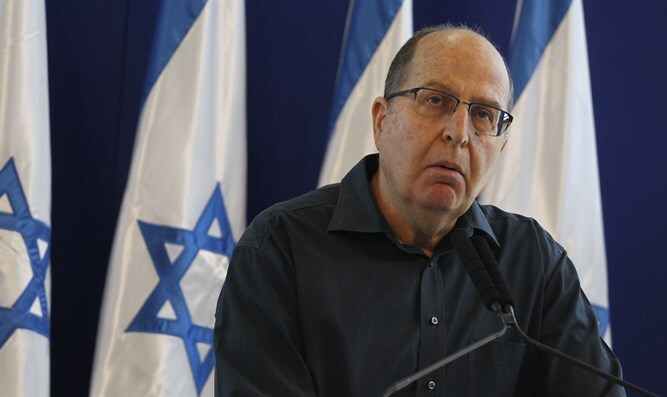 "The attempts to get 'likes' in support of eliminating Hamas or giving a 48-hour ultimatum to Hamas leader Ismail Haniyeh - that's not what I'm about," Ya'alon said. "Many ministers visited the front, after receiving permission from the Defense Ministry, and they acted according to the rules." Ya'alon also said that since Operation Protective Edge, Hamas has not fired rockets at Israel because they are afraid of the IDF. Speaking on Tuesday about the 2014 Gaza war, Ya'alon said, "The Cabinet was irresponsible during [Operation] Protective Edge. It was a shallow and populist Cabinet. It was a Cabinet that leaked information, in which [ministers] spoke out of both sides of their mouths. The discussions were a big farce which, if not for Netanyahu, the Chief of Staff, and myself, would have ended in disaster."